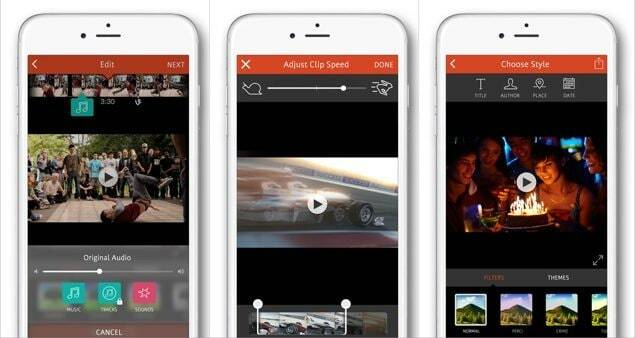 The best editor helps you easily combine iPhone videos with powerful features. We all find ourselves delighted by watching videos for different purposes. Unsurprisingly, you have a bunch of videos in your iPhone. How about combining your favorite genre videos into one video? For example, you can merge all the funny videos and make it a single video. This way you can enjoy the videos in one go. For those people who have lots of video clips in their iPhone and want to merge those into one, we have come up with some amazing and useful apps to combine videos on iPhone. Let’s get off the ground to learn the methods. Step 1 – Launch iMovie app and get under the “Project” section available on the top of the screen. Step 2 – Now, tap on “Create Project” and then select the video type out of the two options available, i.e. “Movie” or “Trailer”, select “Movie” in this case. Next, tap on “Create” from the next screen. Or you can import video from File. Step 3 – Your project interface has now been successfully loaded on your screen. Now, to add the source video file, tap the “Media” icon on the left top of the timeline and your video gallery will load up on your screen. Select the desired source video and tap the “Add” icon to add it on the iMovie’s timeline. Step 4 – Once your preferred video is added on the timeline, you can scroll the timeline to left or right to let the vertical line known as "playhead’ appear on the screen. Now, place the playhead by scrolling left or right, exactly at the place where you desire to combine the video. Step 5 – This is the time where you need to add another video which you wish to combine with the source video. Follow the same process mentioned above to get your video added on the timeline. The nearest position to the playhead, be it before the existing video clip or after the clip, will let the fresh clip added to the video. Step 6 – Now, if you wish to preview the two added videos in a combined playback, simply hit on the “Play” icon available just above the timeline in middle of the screen. Step 7 – You can also use the transition effects from the presets to apply the desired effect when your first video is switched to another. Or, you can use the traditional fade in or out (default transition) as well. Step 8 – When you are satisfied with your video, simply hit the “Done” on the left top corner of your screen. And, the next interface will bring you up to a screen where you can simply save the merged video file on your local storage or can directly upload them to various cloud storage platforms. Moreover, here on this screen you can give your video a custom defined title too. Videoshop is a great video editing app and is next app to combine video clips in the list. This app has got all; from trimming, cropping videos to adding sound effects, recording one’s own voice as well as resizing the video frame and many more features. Here is how you can add videos together on iPhone via Videoshop app. Step 1 – First of all, download the app from App Store. Launch it post downloading. Step 2 – Hit on the plus signed icon in order to start adding your videos. Step 3 – You can now choose the options given above the videos. You can select different settings or editing options like adding transition, typing texts, speed changes, adding audio track and many more. Step 4 – Once done, you can move to tap on the “Next” button. Step 5 – Subsequently, move further by giving the title of video, author, place and date if you want. Also, you can customize videos with filters and themes. Step 6 – Once done with the merging videos on iPhone, tap on the Sharing button and store the file. You can also upload your file to YouTube, Vimeo or send via e-mail, save to Dropbox. 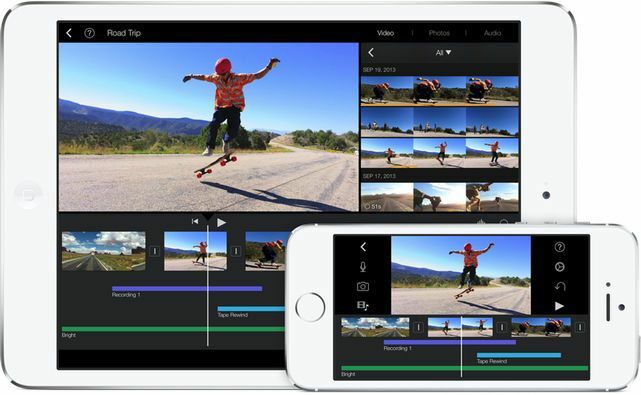 You may face a little disturbance while combining videos on iPhone using iMovie. Using iMovie for merging videos may result in losing frames issue which can be unpleasant to anyone. If you want to make this unpleasant situation to pleasant, we would recommend you Filmora. It is believed to be the best video merger app and would be a great option if you want to avoid losing frame thing. In addition, you should try editing your video files on desktop with Filmora’s desktop version to enjoy better and advanced options. Step 1 – Launch Filmora and click on “FILE” in the toolbar. Step 2 – now, give a tap on “Import Media” followed by tapping “Import Media Files”. Step 3 – After this, in the timeline, drag the number of clips you want to combine. Once you do this, you will spot that the video files you’ve dragged will be aligned in the same timeline. Step 4 – Filmora is packed with a great deal of powerful tools with the help of which you are allowed to modify contrast, color etc. So after merging, you can edit your videos if you wish. Step 5 – Once you find yourself contented with the creation, you can export it to your device. For this, choose “EXPORT” option available in the toolbar and choose iPhone as the target device. Here ends the discussion and we hope that you got a pleasant experience reading this post. Thanks for the time for browsing through the post. We offered you some refined apps to combine your videos. So, which was the best video merger app according to you? We would like to get familiar with your choice and experience. Again thanks!